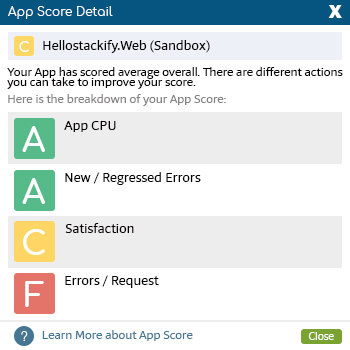 Understand the overall health of your app a and what could be causing issues. Get tips on how you can improve the health of your applications. App Score is the holistic health score represented as a color coded letter grade. It’s calculated for each application and environment combination. 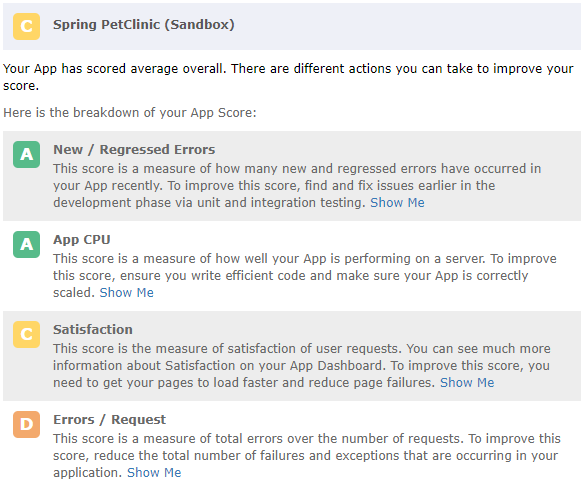 This allows users to compare scores for the same applications across all environments where it is running. 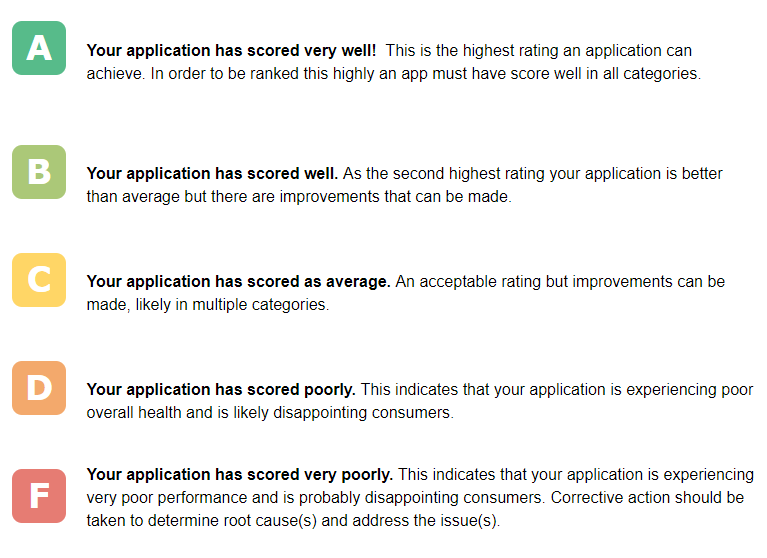 Your overall app score takes into account several factors to provide a holistic rating of your applications performance. In addition to your application’s Apdex score, app scoring also accounts for other measures such as exception rates, CPU and memory usage, and whether you are repeatedly fixing the same problem. Each metric has a unique score to provide a more comprehensive analysis.